Evening of Monday, 22nd October 2018. 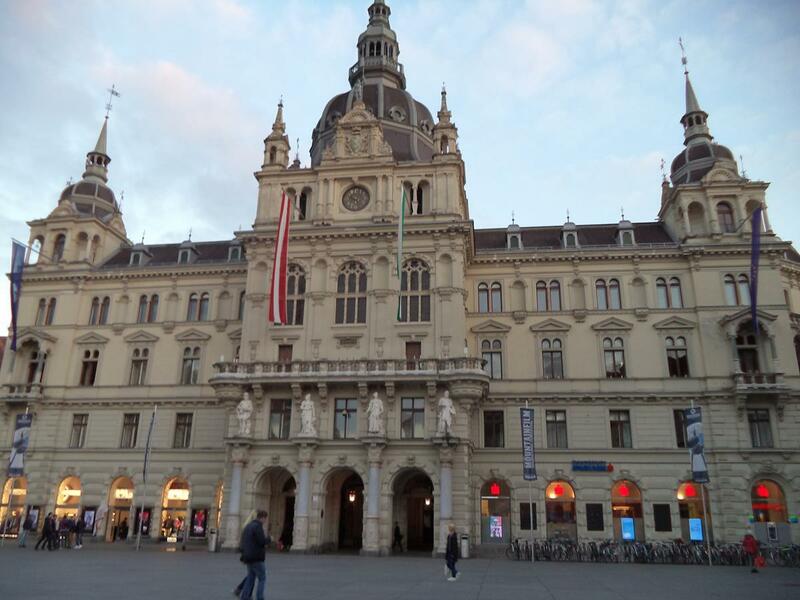 Graz is the capital of Styria and the second largest city in Austria. It’s a university city with no fewer than six academic establishments. Fountain in Hauptplatz. 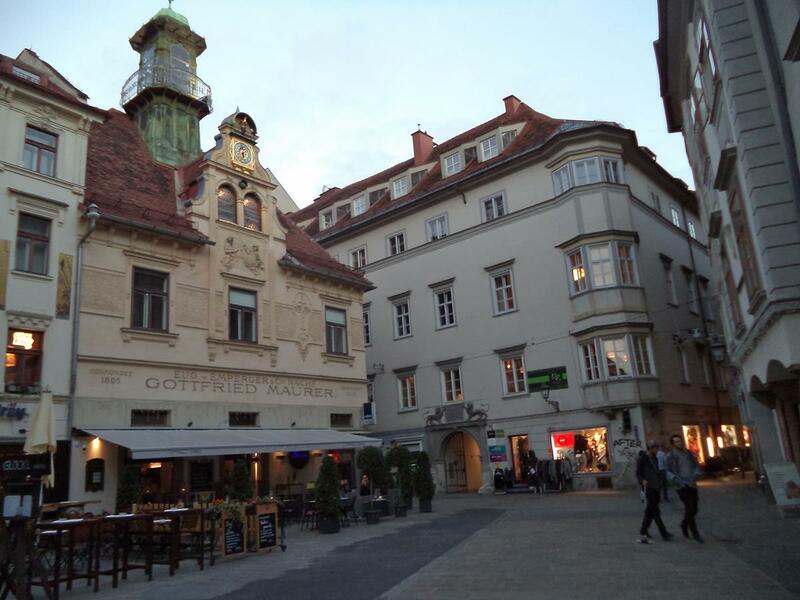 The main square of Graz in its city centre. The Town Hall (Rathaus) located on Hauptplatz. 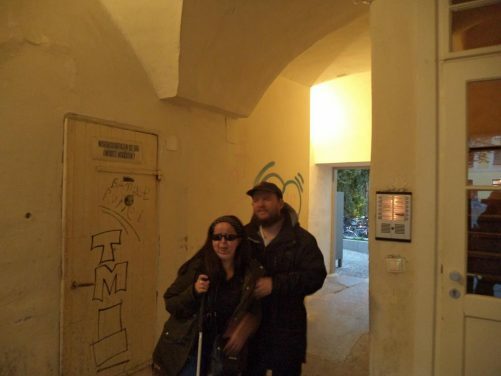 Tony, Tatiana, stood in a narrow passage between colourful old houses, Altstad (Old Town). The Graz Carillon Glockenspiel. 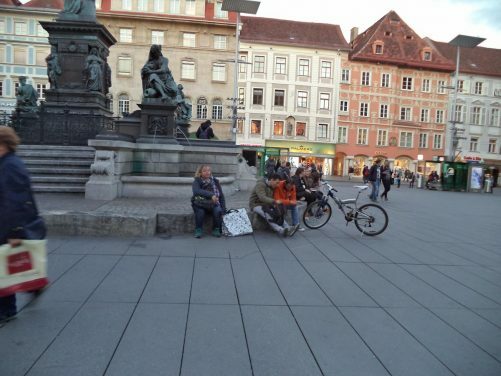 Located in the middle of Glockenspielplatz. It presents a small boy and girl in traditional costume, dancing to three different tunes. They appear at 11am, 3pm and 6pm. 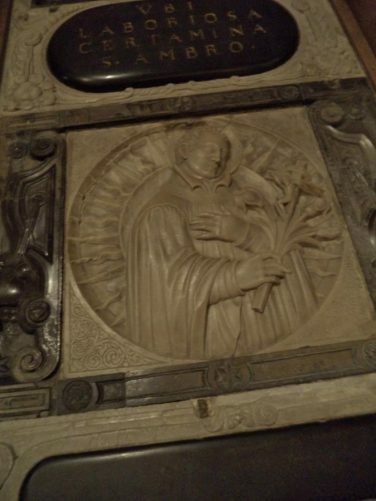 Main altar. Inside Graz Cathedral (Dom St. Ägidius, or St. Giles Cathedral). 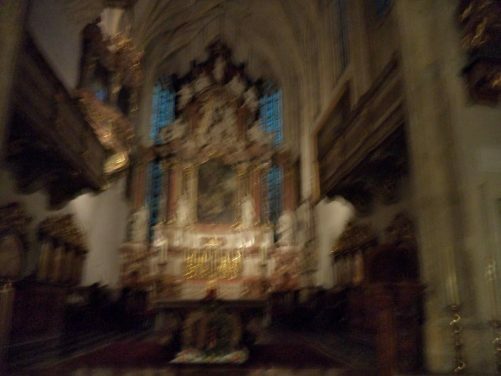 A Gothic-style Roman-Catholic Cathedral, built between 1438 and 1462 on the order of Friederick III. A marble wall carving including a man holding flowers. Tatiana next to a marble font inside Graz Cathedral. 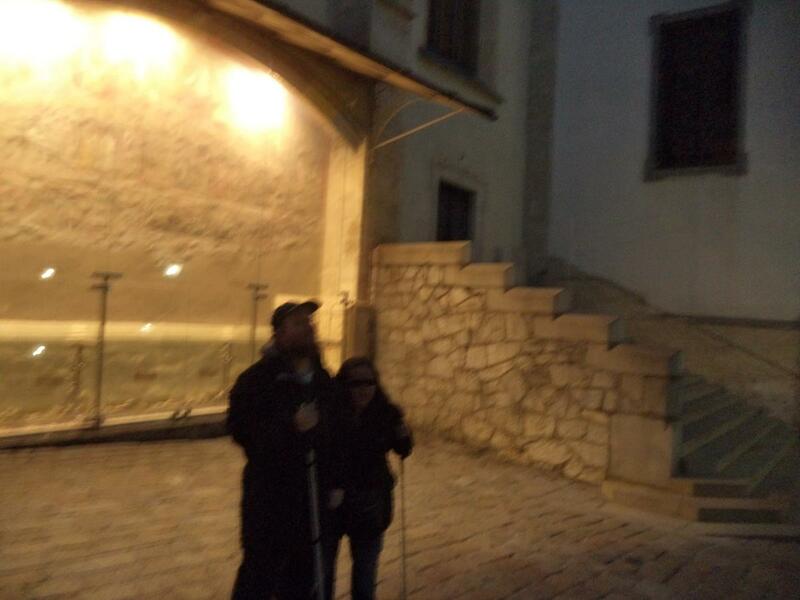 Tony and Tatiana in front of the so-called Gottesplagenbild (picture of plagues), which is, allegedly, the oldest remaining painting depicting Graz. 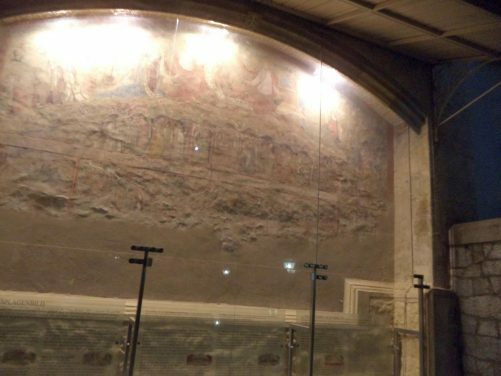 This exceptional exterior fresco is on one of the cathedral’s walls. A closer view of the Gottesplagenbild. Tony, Tatiana at the bottom of a flight of steps that lead up to the mannerist-Baroque Mausoleum of Emperor Ferdinand II. Its elliptical dome is, apparently, the oldest of its kind outside Italy. 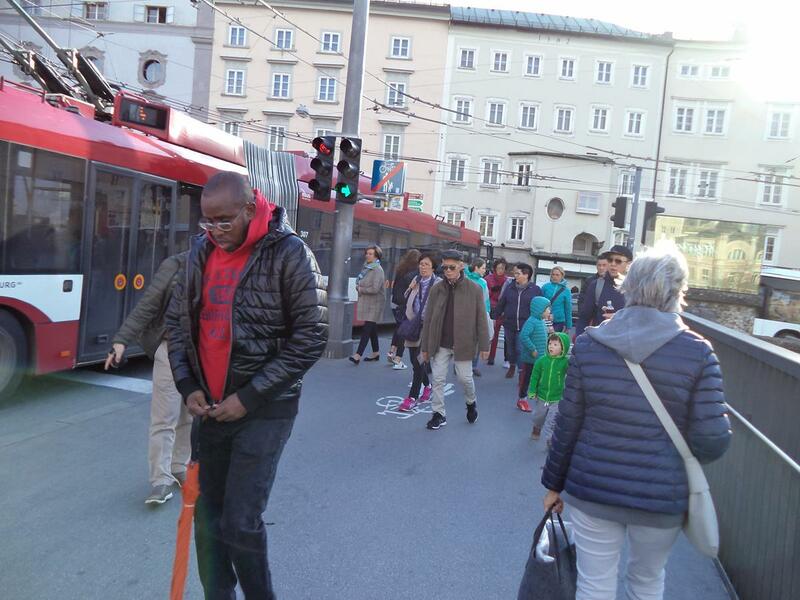 Salzburg is Austria’s 4th largest city. 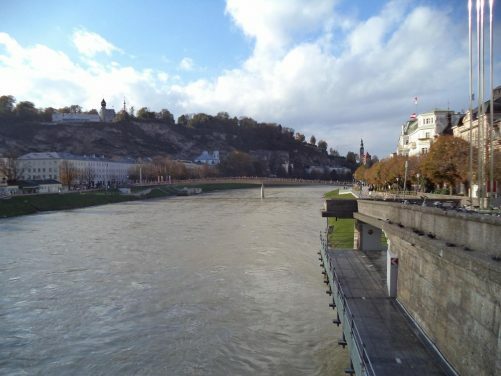 It is located on the banks of the Salzach river, in central Austria, near the German (Bavarian) border. It’s the birthplace of famous composer Wolfgang Amadeus Mozart (27 January 1756 – 5 December 1791). 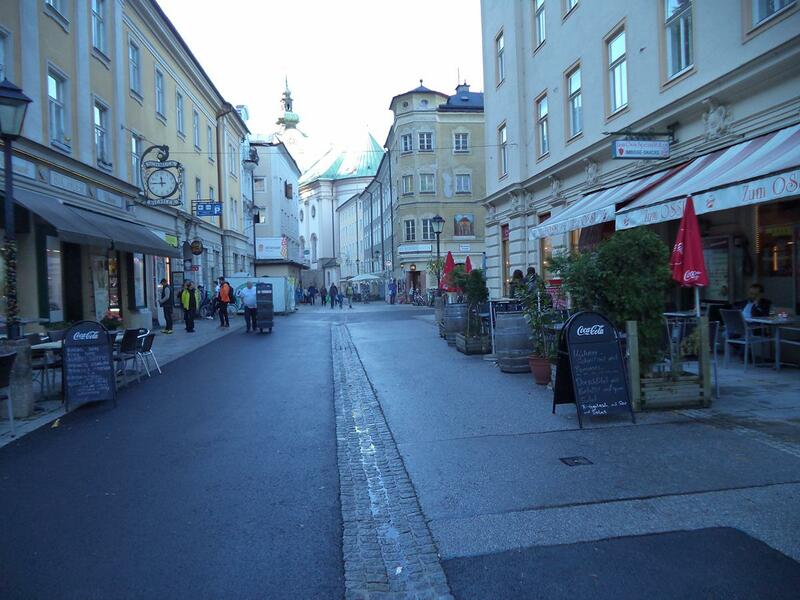 View along Linzergasse, a pedestrian street that runs through Salzburg’s “Old Town” (Altstadt). It is located on the right side of the river and is lined with shops, restaurants and cafés. 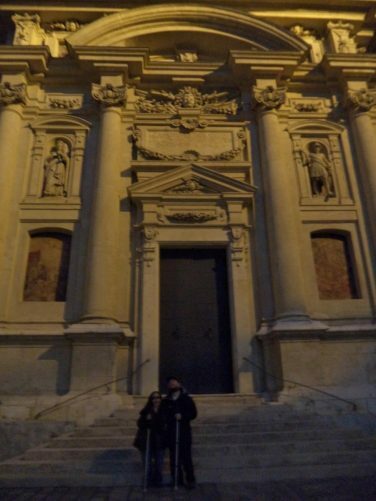 The late Baroque St Sebastian Church (Sebastianskirche) can be seen ahead. 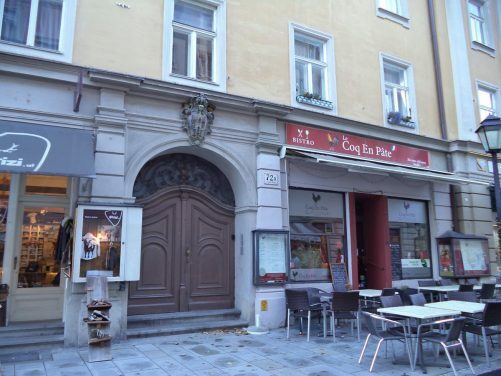 A large arched doorway on Linzergasse. 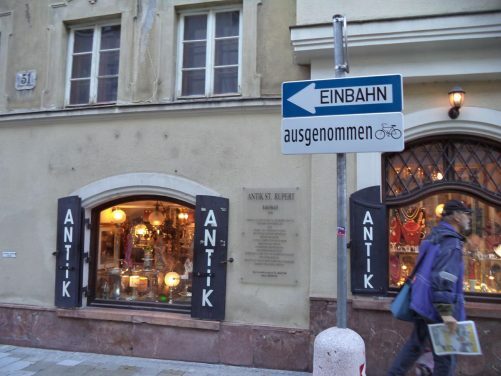 Outside an antique shop on Linzergasse. In Platzl, a small square at the south end of Linzergasse, looking towards the Salzach river. 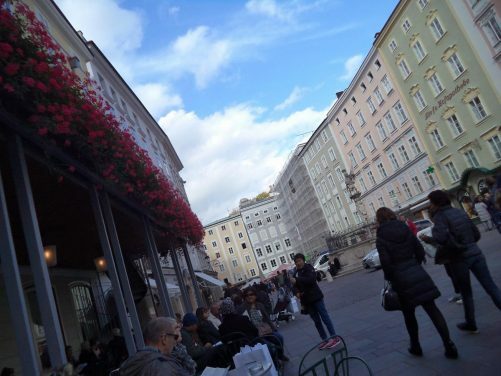 View along Getreidegasse, a long and narrow pedestrian street running parallel to the left bank of the river in the centre of the old town. It is famous for the old-style wrought iron signs that can be seen outside many of the shops. 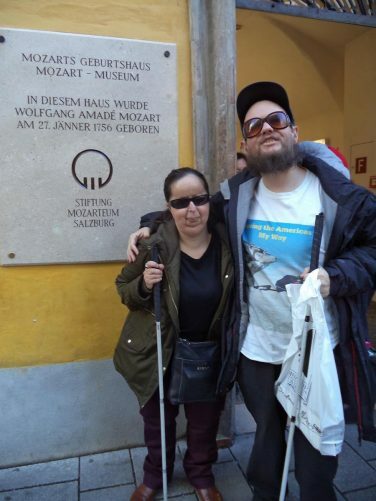 Tony and Tatiana outside the birthplace of famous 18th century composer, Wolfgang Amadeus Mozart, at Getreidegasse 9. The house is now a museum. 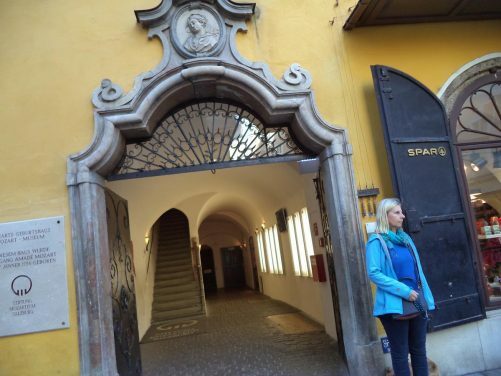 Doorway to the Mozart birthplace museum. 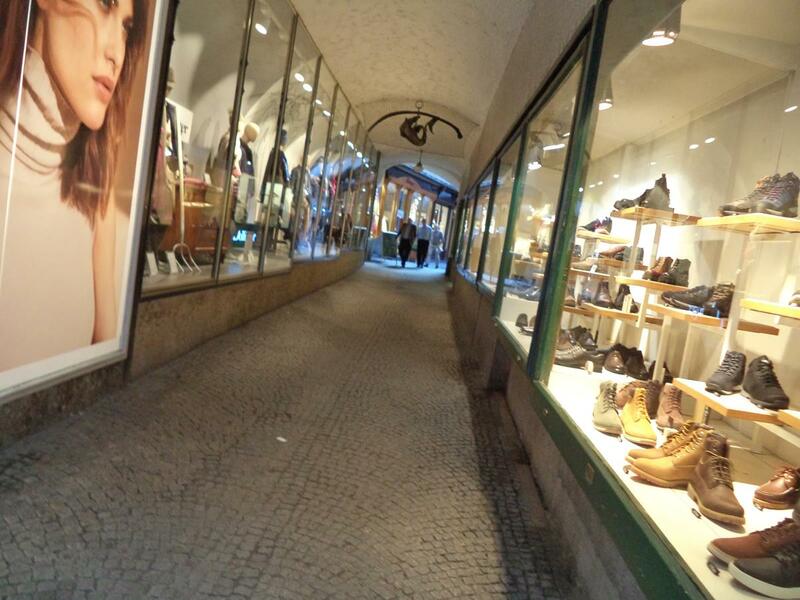 A covered passageway lined with shops. There are many of these old passageways in the old town. 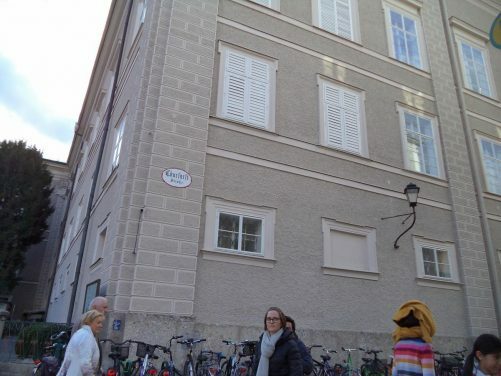 University of Salzburg building on Churfürststraße. Alter Markt square. This is the old market square of Salzburg. 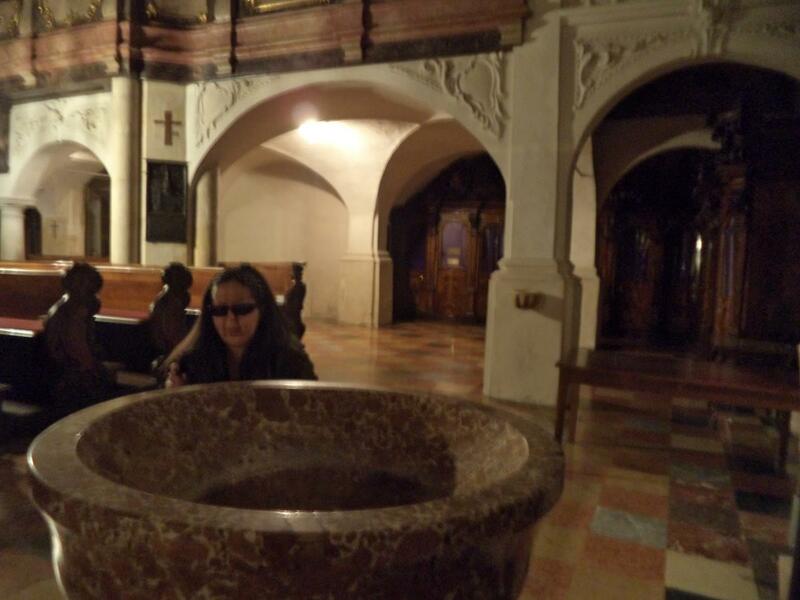 In front is St Florian Fountain built between 1685 and 1687. The fountain is formed of an octagonal stone basin with wrought iron railings above. 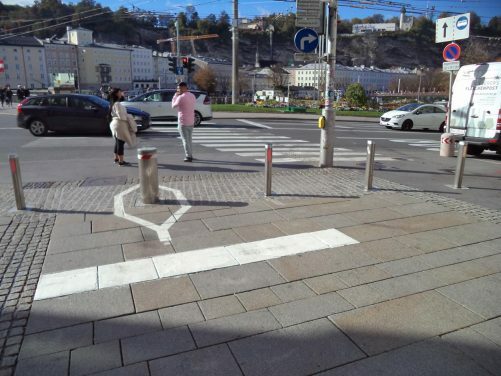 In the centre is a stone column bearing the Salzburg city coat of arms. 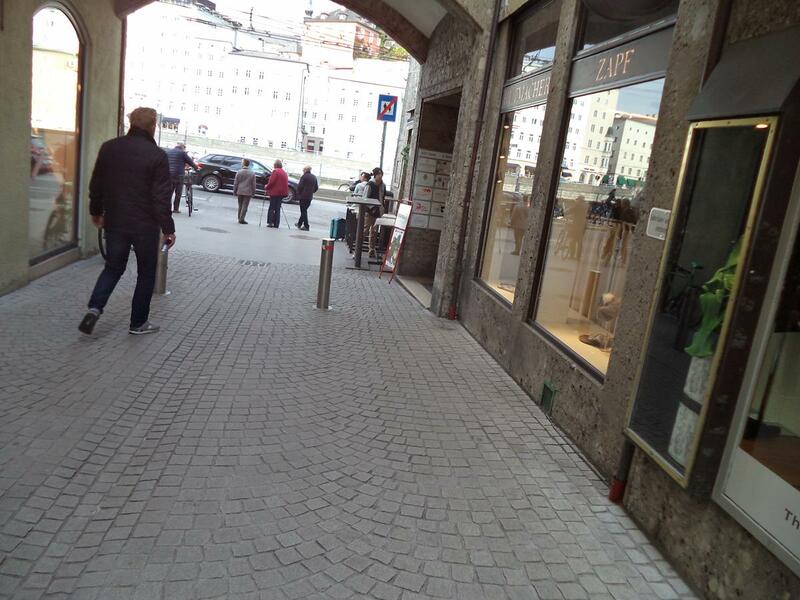 Another covered passageway with a view towards the Salzach river at the end. 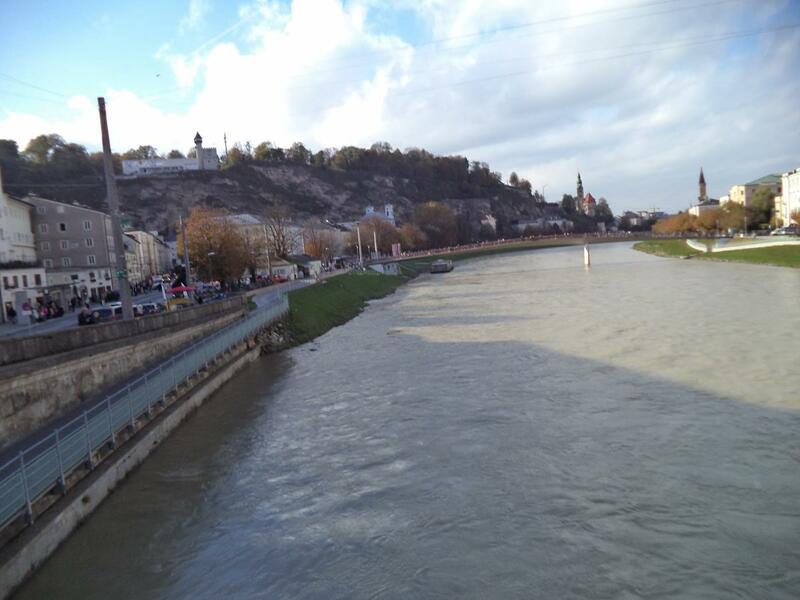 Looking along the Salzach river from Staatsbrücke (“State Bridge”). 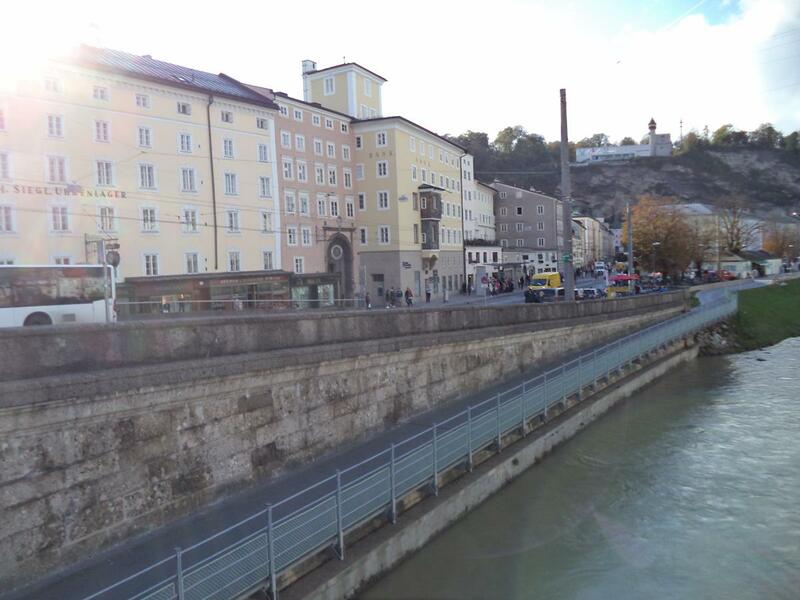 This is the most important and most prominent of Salzburg’s bridges. 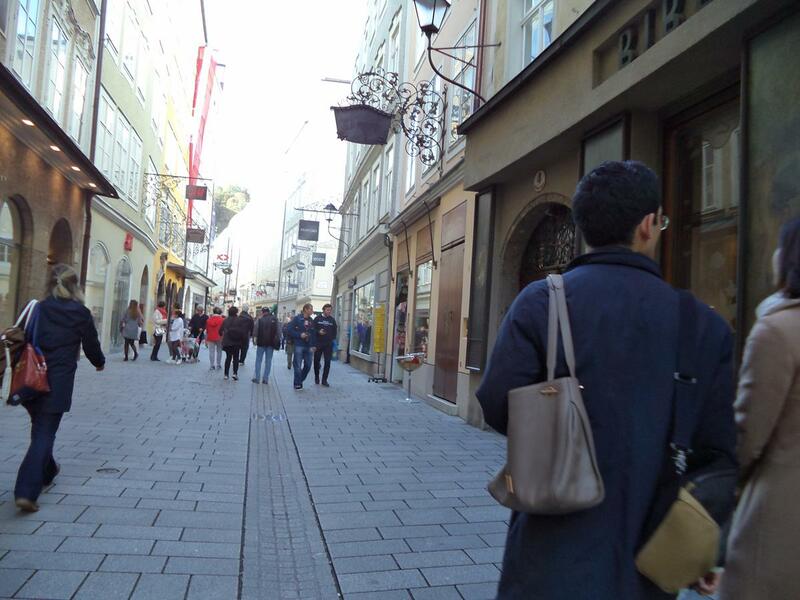 It links the Altstadt (Old Town) on both sides of the Salzach. A pedestrian bridge (Makartsteg) can be seen further along the river. Buildings along the river on the south side of Staatsbrücke. 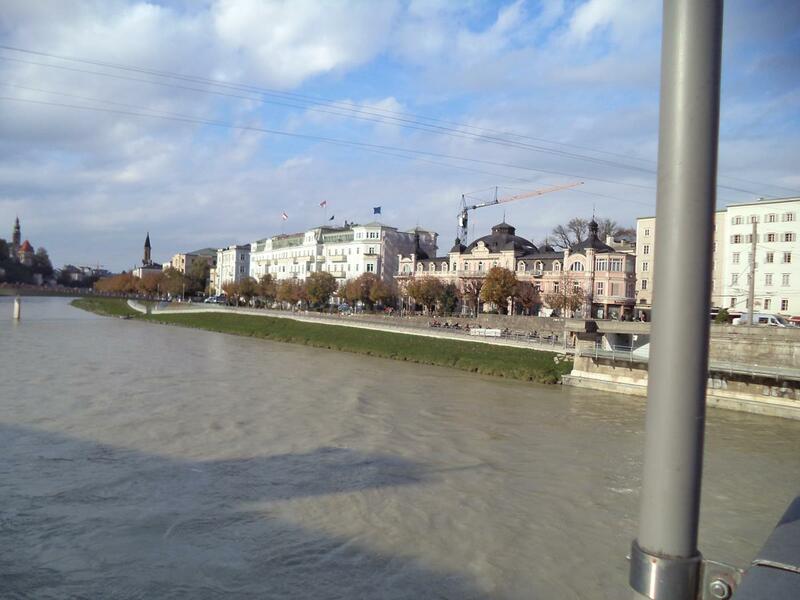 Grand buildings on the north bank of the Salzach river looking from Staatsbrücke. The buildings include the Hotel Sacher and the pink coloured headquarters of Bankhaus Spängler. People and a trolleybus crossing the Staatsbrücke. Another view along the Salzach river. On the opposite bank, cliffs can be seen rising up to a plateau. This wooded hill is known as Mönchsberg. It is a popular recreation area near the centre of city.